All travellers should carry a first aid kit; the content of the kit should be tailored to the individual, the destination and travel plans. 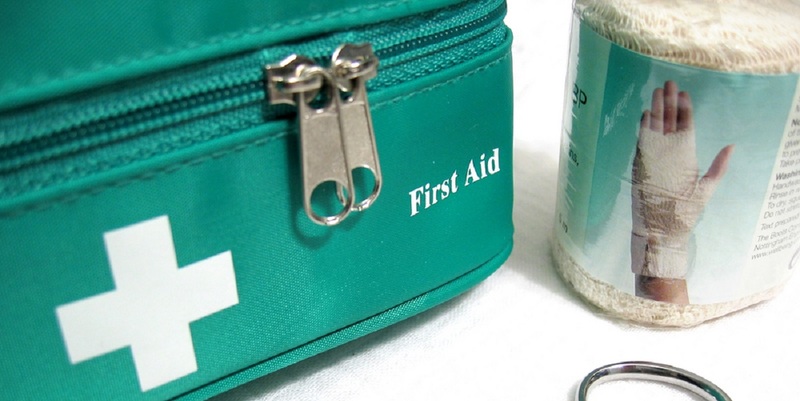 An appropriate first aid kit provides travellers with equipment to deal with minor injuries and illness; it can also help prevent travel related illness. Travellers should ensure they are familiar with the contents, including medication in kits they carry, and the importance of obtaining urgent medical aid for any health issues that are of concern. A travel first aid kit enables travellers to treat minor health problems as they occur, manage pre-existing conditions, including any flare ups and can help prevent travel related illness [1, 2]. A trip to the nearest pharmacy or clinic may be inconvenient or difficult in some situations. Minor accidents, injuries and insect bites are common in travellers. Self-limiting illnesses such as travellers’ diarrhoea and respiratory infections have also been described, especially in those visiting low income countries . Research indicates that only a small proportion of self-reported health problems in travellers are severe, but some individuals may experience significant disruption to their travel plans . Those with certain pre-existing health problems may find that symptoms can get worse during travel with exposure to a new environment and activities. Medicines which are widely available over-the-counter in the traveller’s home country may be difficult to find or unavailable in other countries . In some regions counterfeit (fake) drugs may also be an issue [5, 6]. Having a basic supply of medicines and equipment available can allow travellers to deal with issues quickly, conveniently and hopefully prevent complications developing. Travellers should prepare a travel first aid kit containing supplies and medicines ready for emergency use. Kits should be tailored to the destination and individual, with enough supplies to manage pre-existing conditions and to cope with minor injuries and illnesses such allergies, travellers’ diarrhoea, and headaches. For those travelling to areas where there is concern about the quality or even availability of local medical equipment, a sterile medical kit with items such as sterile needles, syringes, lancets, suturing equipment, intravenous fluid giving sets and sterile gloves should be considered. Such equipment is not for the traveller to use themselves, but to give to a nurse or doctor during medical emergencies. This equipment should be packed in the main hold rather than hand luggage. Commercial kits, with a clear list of items, written instructions and a certificate explaining that the contents are for personal emergency medical use only, are appropriate for most travellers. These kits are normally packed in secure, zipped, rip and water resistant nylon bags, clearly labelled as first aid kits. This helps access through security and/or customs. First aid kits and sterile medical kits can be purchased from larger commercial chemists, specialist travel clinics and some camping and walking shops. Long term and/or frequent travellers, especially those travelling with children and those visiting remote areas or areas with poor facilities, should consider carrying a basic first aid handbook and attending a basic commercial first aid course . Travellers should make sure they are familiar with the contents of their kits before they go. They should also be aware of legal and customs restrictions relating to travelling with medicines and medical equipment [5, 7]. The legality of any medicines can be checked with the relevant embassy, consulate or high commission for their destination, although this can be difficult and time consuming in some cases . Some medicines that may be bought over the counter in chemists in the UK, for example nasal decongestants containing pseudoephedrine, are illegal in some countries . Medication and medical equipment should be kept in the original, labelled packaging . TravelHealthPro factsheet travelling with medicines provides further information and advice. A study on UK travellers going to South America, Asia, Africa or the Middle East for two weeks or more found that the medicines most widely used were analgesics (for pain relief) and medicines for diarrhoea relief, such as oral rehydration solution and loperamide . An antibiotic prescription may be appropriate for certain travellers [1, 5, 8] who may be unable access to medical facilities or are at high risk of health-related complications from moderate to severe travellers' diarrhoea or other conditions if treatment was delayed. This can be particularly helpful in areas where medicines are in short supply or of doubtful quality. Antimalarial medicines (if travelling to areas where these are recommended). Malaria treatment drugs may also be appropriate for some remote travellers. For travellers visiting high altitude destinations, information on medicines and other equipment that are sometimes used for prevention or treatment of altitude illness is available. Commercial kits containing supplies of basic medications can be purchased from some specialist travel clinics. However, a consultation with a health professional is required to exclude allergies and drug contraindications and to ensure appropriate guidance is given regarding the appropriate use of the medicines. Regularly used medicines (such as those for pre-exisiting conditions) should be stored in hand luggage, with an extra supply in hold luggage in case bags are lost on route. Travellers should be discouraged from buying medication or medical supplies overseas, as quality cannot be assured . Sharing medicines is not advised. Treatment prescribed for an individual traveller could be unsuitable for another because of a pre-existing medical condition and/or drug interactions with existing medicines. Travellers should seek prompt medical advice if they develop fever, diarrhoea with blood, or any other worrying symptoms such as; confusion, jaundice (yellow eyes and/or skin), severe stomach pain or a rash. On return, travellers are advised to check for expired items and review kits prior to future travel to assess suitability. Steffen R and Grieve S. Epidemiology: Morbidity and Mortality in Travelers. Chapter 2, Travel Medicine. Keystone JS, Freedman DO, Kozarsky PH et al, eds 2013. Field VK, Ford L, Hill DR, eds. Health information for overseas travel. National Travel Health Network and Centre, London, UK, 2010.